As a incurable fan of bread this was not easy task. As much as i love bread i don’t feel good when i eat it. We were visiting our friends in Zagreb and Ana made crackers for us. They were so delicious. 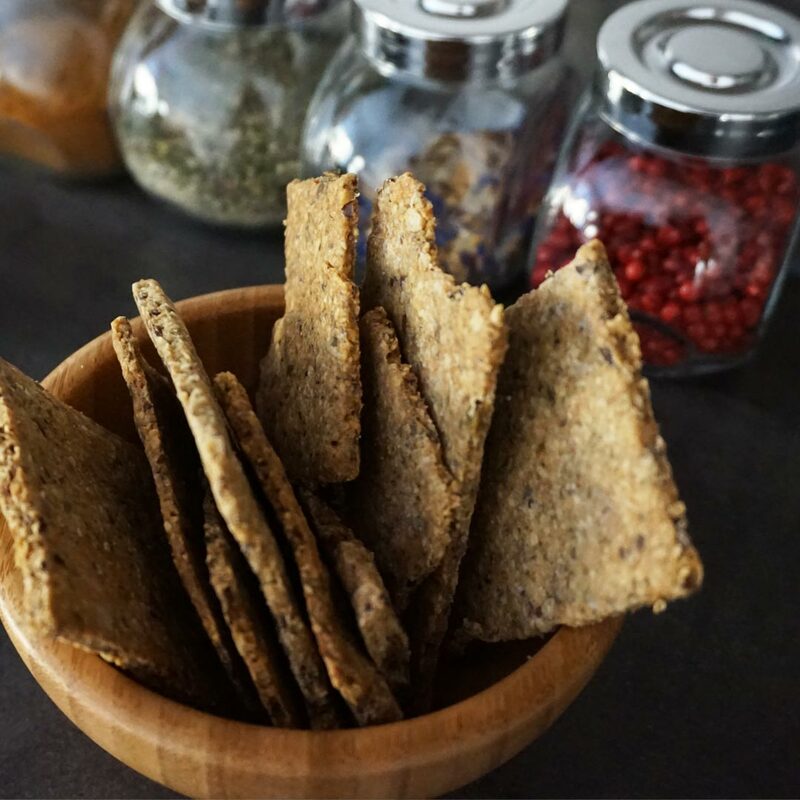 After we came back i decided to make seeds crackers on my own and change the ingredients and recipe a bit. 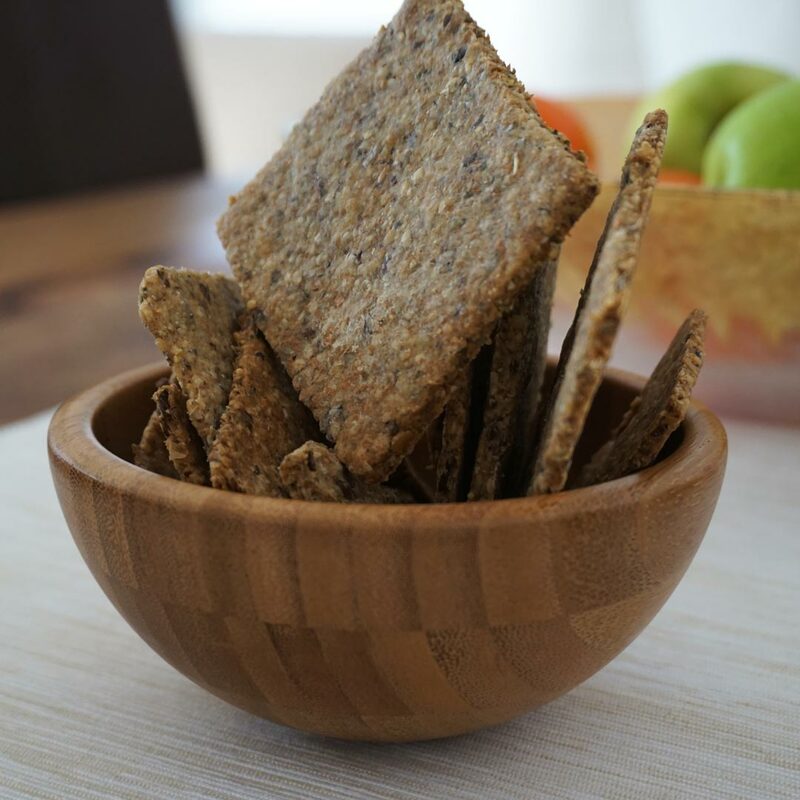 This is super healthy and tasty snack which helps regulate digestion (from my personal experience ;)) and it is perfect replacement for the bread. 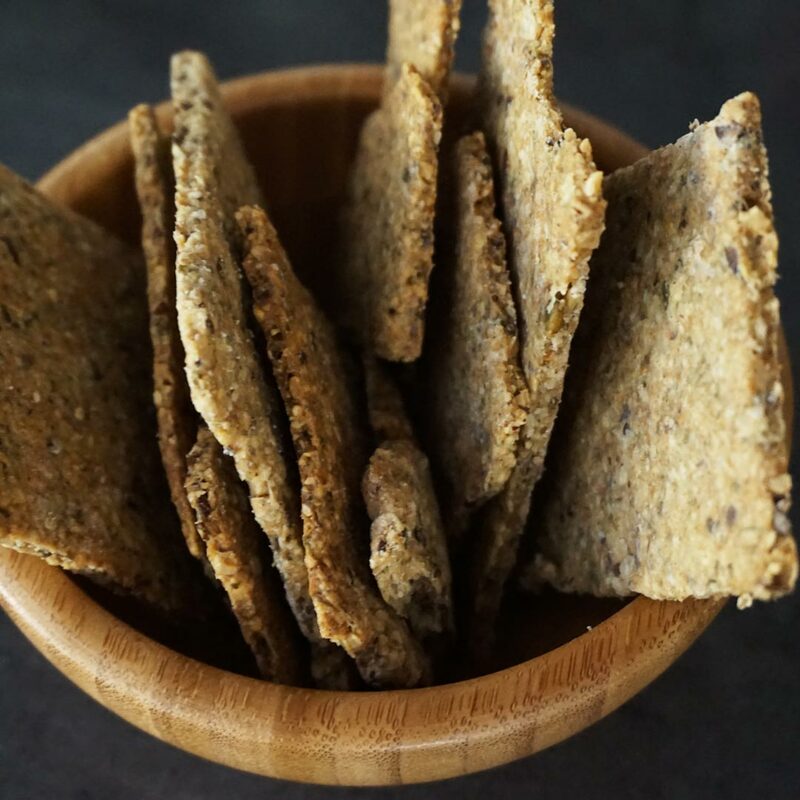 These seed crackers are simple to make, but also very adaptable. You can use other flours, other seeds or give a little more flavor by adding 1 teaspoon of dried basil. It is very practical, you can baked it at the evening and the amount will last for the next several days. Instead of buying the expensive and not so healthy crackers in the store make your own ones. Put ground oatmeal, ground flax seeds, ground mix seeds, ground chia seeds, flour, baking powder, salt in a bowl and mix it. Add olive oil, water and mix the dough. Transfer the crackers (including the lower piece of parchment paper) to a baking sheet, and bake for 12 to 15 minutes on 190°C, or until the crackers are browned and crisp. Repeat with the remaining dough.